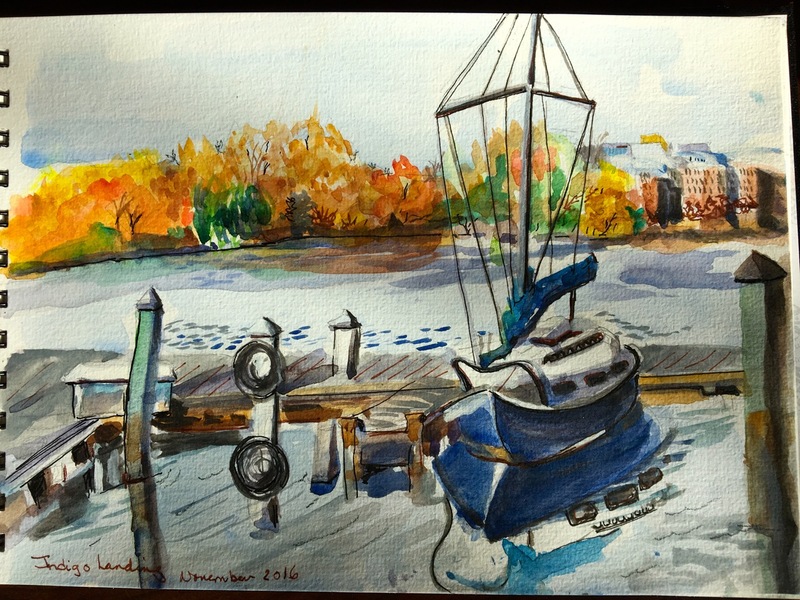 On what seemed likely to be the last unseasonably warm day of the year, it was great late last week to have some time to get out and sketch along the banks of the Potomac River not far from the nation’s capital. With barely a cloud in the sky, temperatures hovered around 70 degrees–T-shirt weather barely a month before winter’s official start. The scene was placid without even a ripple breaking the surface of the water along the docks of the marina where I chose to sit–something to appreciate for as long as it lasted.